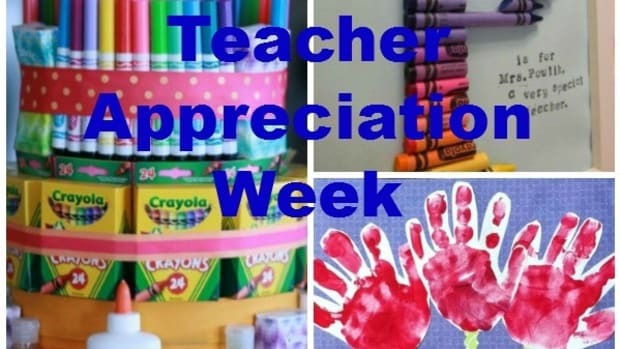 It’s nearing the end of the school year, and to show that terrific teacher how much they truly are loved, the people at Hallmark (or Congress or somewhere) have nominated the week of May 7-11 as Teacher Appreciation week. 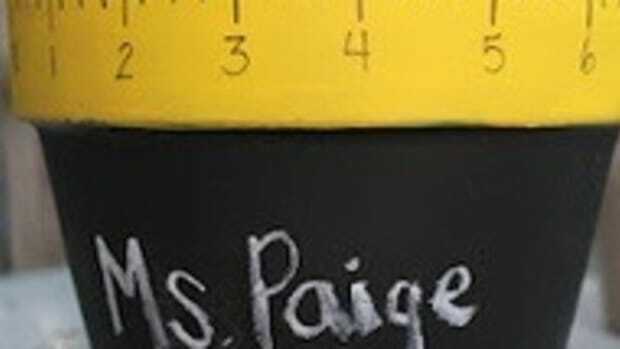 In that week, May 8th has been dubbed the official National Teacher Day. 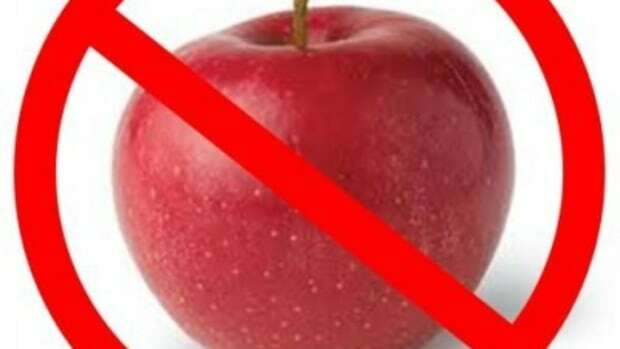 So many things go through my head as far as what to do for the teachers. I am a teacher, so I know all the “fun” stuff they get to put up with on any given day. I also know my children. 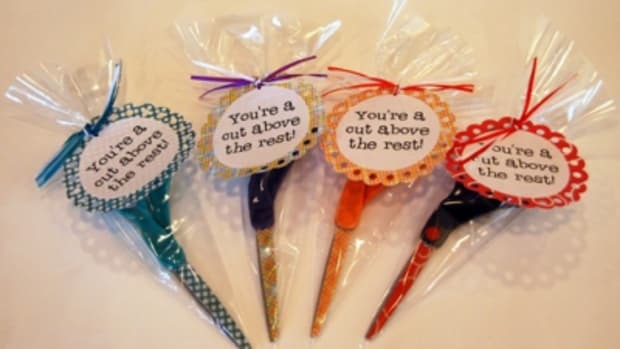 I know that by the end of the week with my own kids, I am ready to pull my hair out, so I am all about showing as much appreciation to the people who want to take on molding minds of my kids and giving them the ability to come home asking 101 questions about something they may have learned. I also want to show how much I appreciate them putting up with my child for all these months. 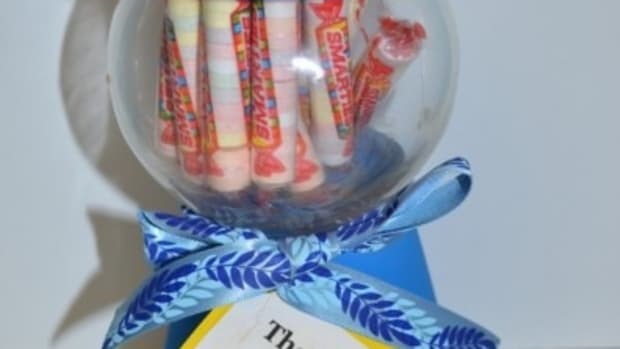 I had come up with a project specifically for Teacher Appreciation, but I changed my mind and decided to use the project for my son’s teacher’s birthday instead. I was so excited about getting started on it, and her birthday is on Tuesday, so it only made sense. 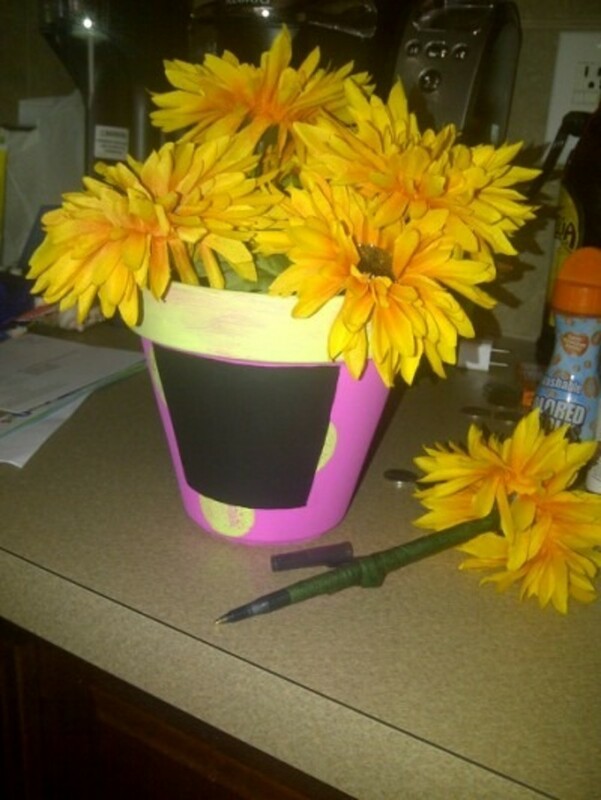 I had gone to Walmart and bought a flower pot, pens, chalk board and other paint. Then, I had gone to Michael’s and bought some discounted plastic flowers and flower tape. I probably could have bought everything at the same place, but what’s the fun in that? 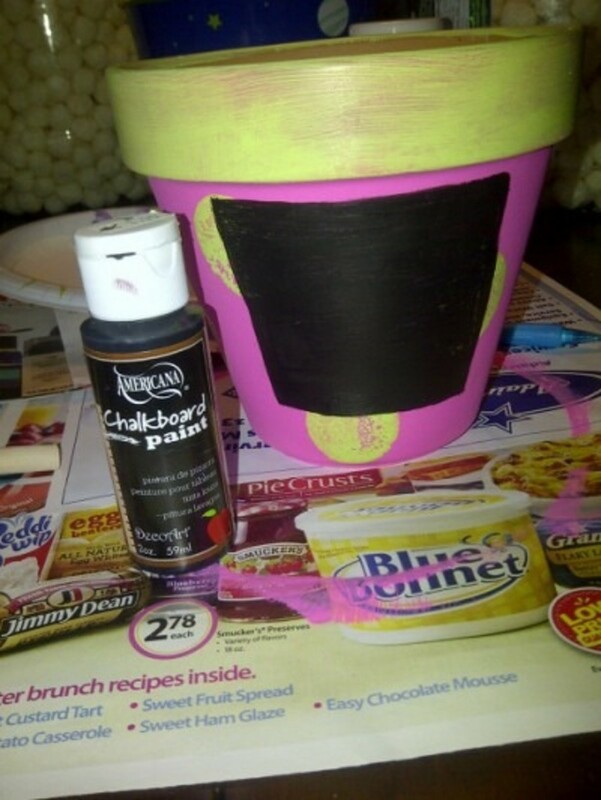 I painted the flower pot in pink and put green poke-a-dots all over it, then painted a black square in the center. The square was made using chalk board paint, so after it is ready, I can write a message on it. 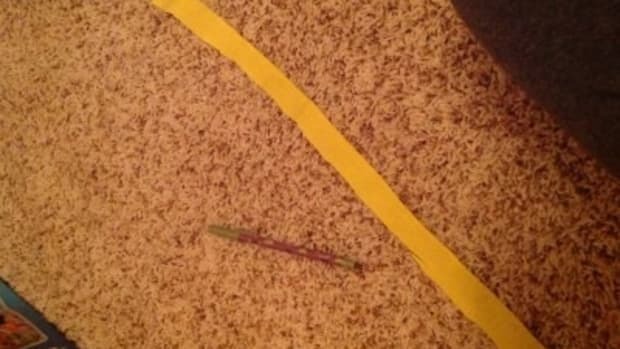 The flowers were cut with leaves and some stem still intact. 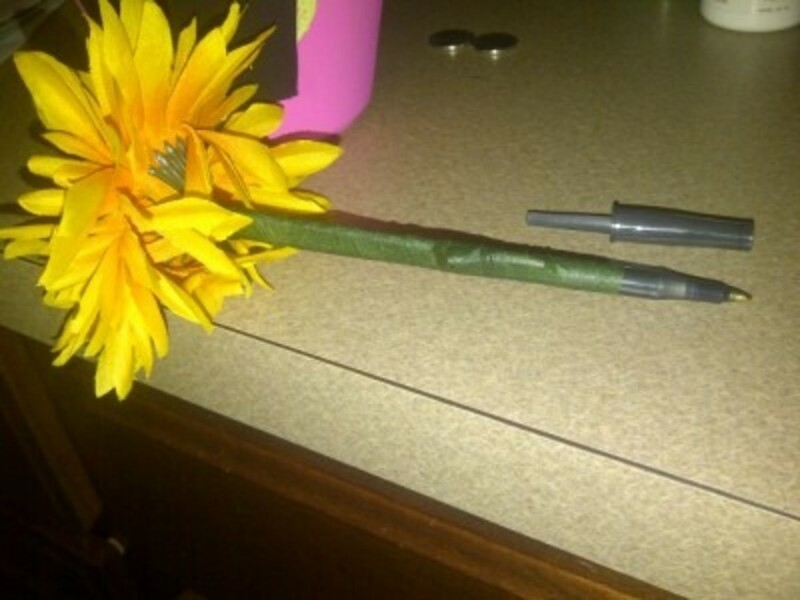 Using flower tape, I taped the stem to a pen by wrapping the tape all around the pen and the stem of the flower. When all is done, I have a cute flower pot with flowers. I will fill the pot with colorful pebbles, just to give it that extra “something”. The middle will say, "Happy Birthday" or will have her name... or both! It&apos;s a chalk board. 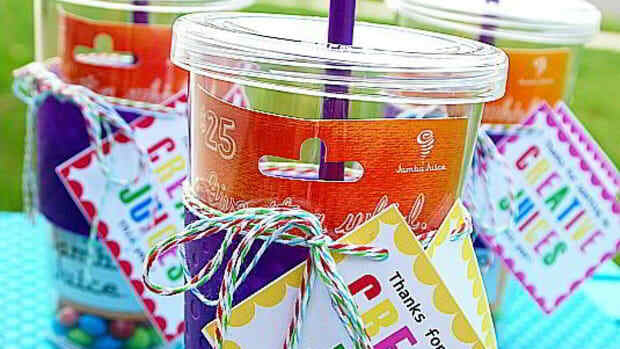 This was a super quick, fun, and inexpensive gift for a teacher, or anyone. Happy crafting! ***The part that took the most time and money was making the flower pens. When shopping for flowers, take a stroll by the clearance section of flowers. They usually put the flowers on sale that are not in season as far as color goes.